The 8th World Water Forum Thematic Commission invites contributions from all around the world to support the organization and participate in the Thematic Sessions. Participation is encouraged from policy/decision-makers, academics, civil society, end-users and practitioners from the public and private sectors, both within and outside the water sector. Besides attending the debates during the event, people and organizations can enrich the content of the Forum by volunteering as a coordinator, moderator or panelist, and by suggesting relevant case studies highlighting lessons that will contribute to the implementation of international frameworks such as the SDGs. Express your interest online before 23 August 2017 HERE. More information: Overview thematic process of the World Water Forum. The SWP is pleased to announce that the Study Visit on River Basin Management and Institutions has been confirmed and will take place from 18th-20th September 2017 in Geneva. Proposed content Market place with a short collective round of elevator pitches by the members, followed by a standing lunch allowing participants to discuss with SWP members. Interested SWP Members please contact the SWP Secretariat HERE. The Government of Tajikistan (GoT) is very active at international and national level in addressing water management. At the national level the GoT has been making efforts in reforming its water sector. The main principle of the reform is moving the water management from administrative boundaries to hydrological basins, and this significant change will require setting up the river basin management institutions (River Basin Organizations and River Basin Councils) in line with IWRM principle. The Study Visit on River Basin Management and Institutions aims at explaining theory, international practice and lessons learnt on the river basin management to a delegation from Tajikistan. The delegation will be composed of 16 water reform leaders from the Syrdarya Basin and Zervshan Sub-Basin in Tajikistan that visit Switzerland to build their common understanding on the reform principles such as IWRM and river basin management. In regard to the World Water Week in Stockholm (27.08. – 01.09.2017) we are pleased to announce that the official website has been launched and the program of the SWP members is online. The SWP-Stockholm program can be accessed HERE. Spread the word and promote your event via the new webpage HERE. The Swiss Agency for Development and Cooperation has issued its new Strategy and Portfolio. Please find the documents below. 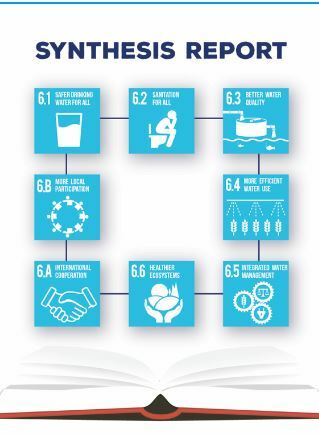 In order to adopt an integrated approach to SDG 6 reporting and, thereby, help policy-makers keep track of global progress, the SDG 6 Synthesis Report 2018 on Water and Sanitation (working title) is being developed and planned for publication in May 2018. This report is currently feeding into the discussions of the High-Level Political Forum on Sustainable Development (HLPF) and will enable the United Nations to speak with one voice. For more information visit UN Water. 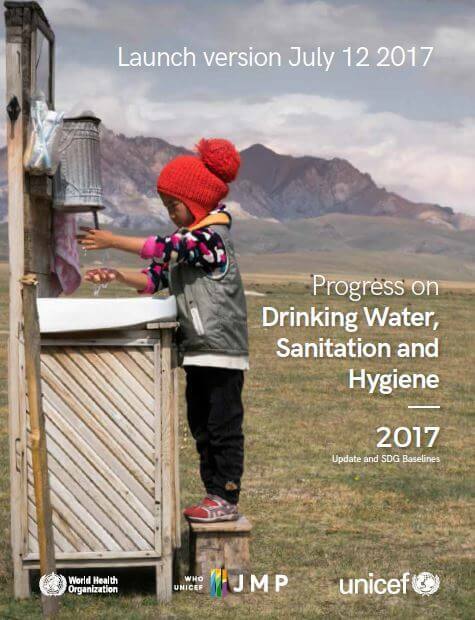 The Joint Monitoring Programme (JMP) report presents the first global assessment of “safely managed” drinking water and sanitation services, which go beyond use of improved facilities, to include consideration of the quality of services provided. For the first time, hygiene estimates are reported for 70 countries. It presents indicators as well as baseline estimates for the drinking water, sanitation and hygiene targets within the Sustainable Development Goals (SDGs). The Water Action Hub (“the Hub”) is an online matchmaking tool developed by the CEO Water Mandate in collaboration with Deloitte, the German Development agency GIZ (on behalf of BMZ), and the Pacific Institute. The Hub helps companies and other organizations meet their long term water-related objectives through collective action by providing them with information that allows them to more effectively understand which stakeholders are active in particular river basins and any relevant water-related initiatives these stakeholders are undertaking. The core of this online tool is a data management system that facilitates match-making through efficient interoperability of a wide range of information sets. The Hub allows users to identify potential collective action opportunities by location or action areas. Users are able to filter for ongoing projects, organizations with similar interests, or to learn about past projects. The Hub features a simple mapping function that visually places organizations’ salient water-related projects as well as organization locations on global maps. Cities have been widely recognized as important water stewards, with the capacity and ability to create incentives for a wide range of stakeholders to improve their water management. The Urban Water Agenda 2030 (UWA2030) is the newest element of the European Union’s ambitious water policy, which aims to establish a network of cities striving for excellence in urban water management. The draft strategy of the UWA2030 recommends that cities commit, implement and report action in five areas: at local level, with other cities, at river basin level, at EU level and in a global context. An online consultation is now open for stakeholders to provide input on the strategy. Check out the EAWAG / Sandec video channel on water, sanitation and solid waste HERE.